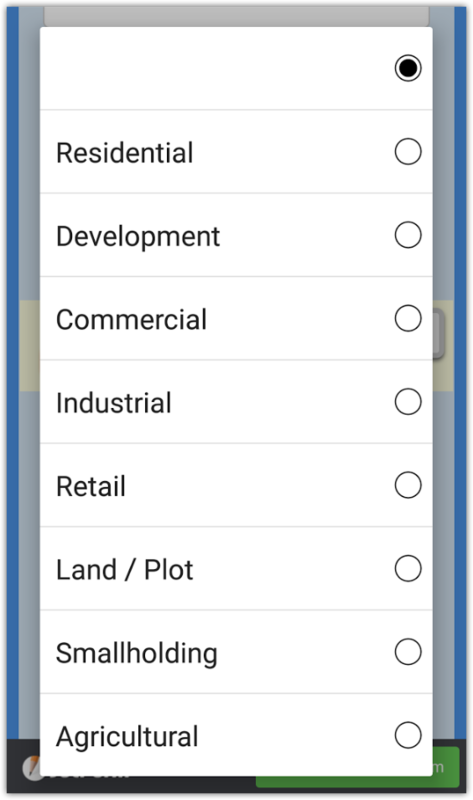 Can you please provide us your form link which has the issue of drop down menu on mobile and tablet? 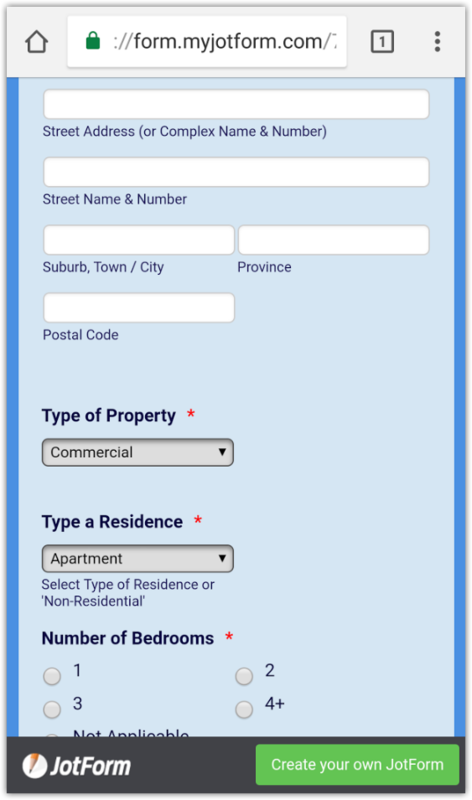 Do you use the form by its direct link or embedded version? I am unable to reproduce the issue when I access the form by its link. The dropdowns seem to be fine on Android and iOS devices. Just those 2 fields – ‘Type of Property’ and ‘Type of Residence’. The various drop-down menu options to not appear. We have checked your form from different devices and locations but were not able to reproduce the issue. This is what I see when I click on the 'Type of Property' dropdown. I would like to suggest checking the form using different devices, browsers, and internet service providers if possible. May just be my devices then.